Derrick Bell, legal scholar and teacher, was the first black law professor at Harvard Law School to achieve tenure and one of the first African American deans in a non-historically black law school. Bell was also a founder of an academic model called critical race theory. The eldest of four children, Bell was born to a working-class family in Pittsburgh, Pennsylvania on November 6, 1930. His parents were Derrick A. Bell, Sr. and Ada Elizabeth Bell. Bell attended public schools in Pittsburgh and graduated from Duquesne University in 1952. He received a law degree from the University of Pittsburgh School of Law in 1957, and upon graduation joined the Department of Justice. Because of Bell’s interest in racial issues he was transferred to the Civil Rights Division. Once there, however, Bell was pressed to relinquish his membership in the National Association for the Advancement of Colored People (NAACP). Bell refused to quit the NAACP and—in retaliation—his superiors moved his desk into the Department’s hallway and reduced his docket of cases. In 1959 Bell resigned from his job and went to work for the NAACP. In 1960, Bell married Jewel Hairston, with whom he had three sons. The couple remained married until Jewel’s death in 1990. In 1969 Bell left the NAACP to become a professor at Harvard Law School. After achieving tenure in 1971, he remained there until 1980. Bell then moved to the University of Oregon to become the first African American dean of the law school there. He urged the law school to hire more people of color, and when it rejected an Asian American female applicant whom he felt was qualified, Bell resigned his deanship in protest. Bell returned to Harvard in 1986, but took a leave of absence in another protest when Harvard Law School declined to grant tenure to two professors of color. His departure from Harvard became permanent in 1992 when he ran out of leave time. Meanwhile Bell accepted a position as visiting professor at the New York University (NYU) Law School, where he continued to teach until his death in 2011. 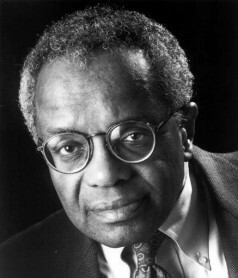 Derrick Bell wrote a number of books and articles on issues of race and equality in the United States. Some of these were semi-fictional in format; others were scholarly in tone. In 1973, he published his most famous work, Race, Racism and American Law, which is still used as an educational text in many US law schools. The Geneva Crenshaw Society, a think tank on critical race theory, is named after Bell’s most prominent fictional character, a black female civil rights attorney who served as a foil or counterpoint to Bell himself in many of his dialogues. In 1987 Bell published another critically acclaimed book, And We Are Not Saved: The Elusive Quest for Racial Justice (1987). Derrick Bell’s views on the future of race relations in the United States were controversial. He outlined those views in his 1992 book, Faces at the Bottom of the Well. Bell saw racism as “an integral, permanent, and indestructible” feature of American life, due to what he called the “interest convergence dilemma” which posited that whites would never eliminate racism unless it was in their own self-interest to do so. He found inspiration in his fellow African Americans who struggled and survived in the face of difficult odds. Derrick Bell, Jr., died on October 5, 2011 at the age of 80 in St. Luke’s Hospital in New York City. He was survived by his second wife, Janet Dewart Bell.